I am hoping that someone may have some knowledge on who is the happy couple in this photograph which has come into my possession. (Betty, Mavis and Dot Holder) but I am at a loss in other names. 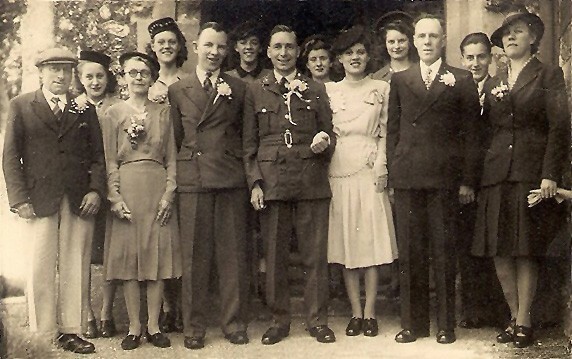 The wedding took place sometime during the 1940's at St Mary's Church in Tarring Neville.